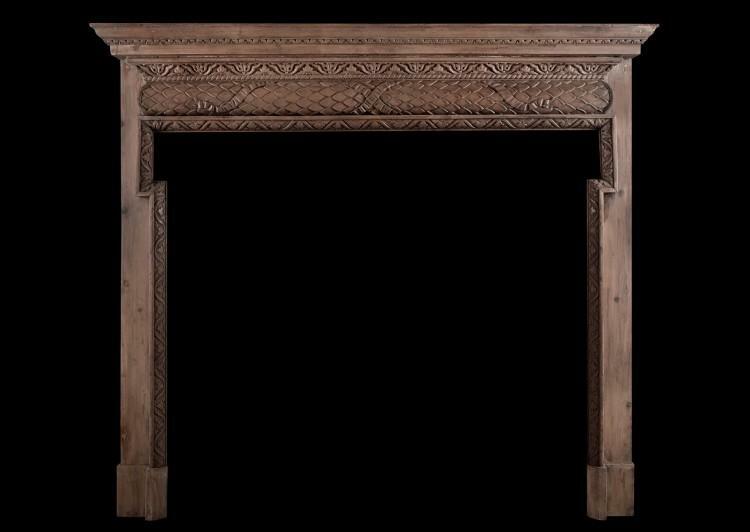 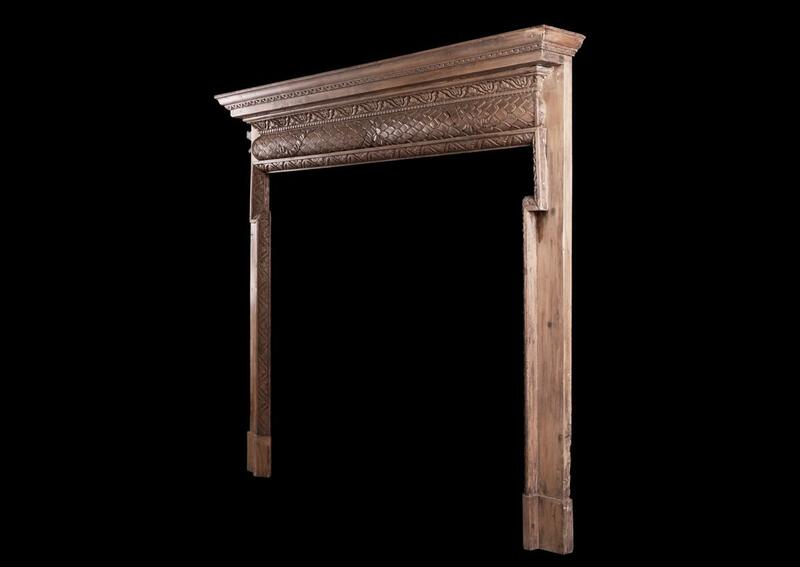 A 19th century English pine fireplace. The barrel frieze with carved leaves and ribbons throughout. 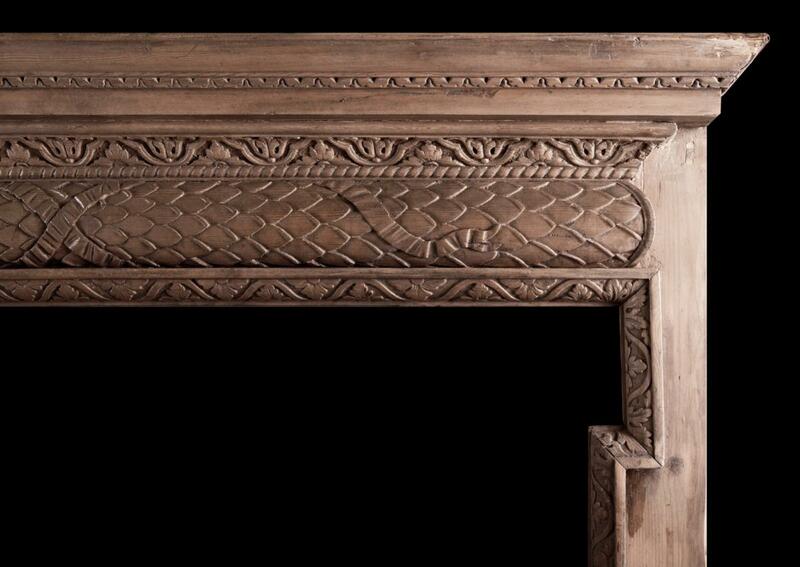 The legs with carved leaves to inner mouldings. 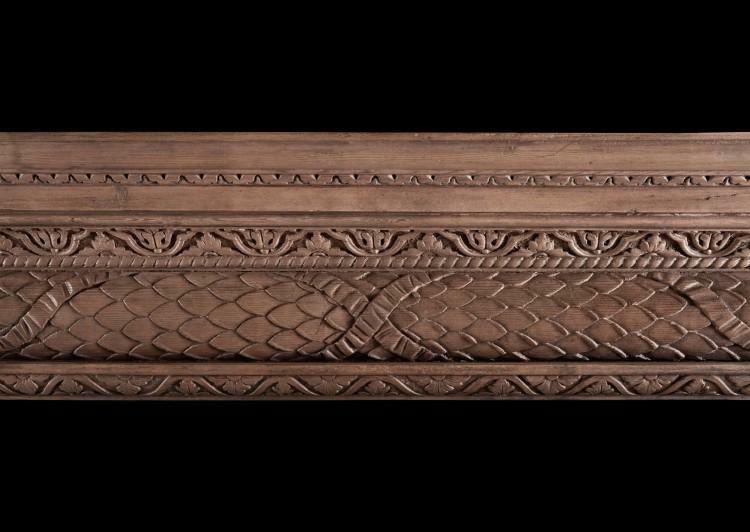 Carved moulded shelf above.